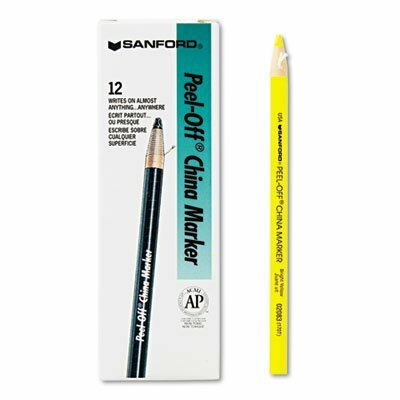 Versatile marker writes smoothly and legibly on both porous and nonporous materials such as porcelain, glass, metal and plastic. Moisture-and fade resistant formula. Paper wrapped--just pull string and peel down strip to refresh tip. Erasable with a damp cloth. Pull string and peel down to freshen tip. Erasable with a damp cloth.